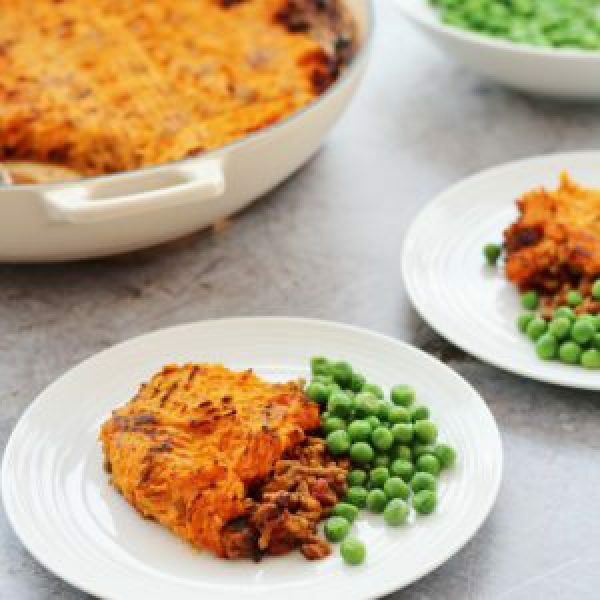 We have had quite a few requests for low carb recipe, so we have decided to show you how to make a classic Sweet potato cottage pie. I lot of people have asked me what is the difference between Shepard's pie and cottage ie. I did a little research and was happy I did as one learns new things every day. 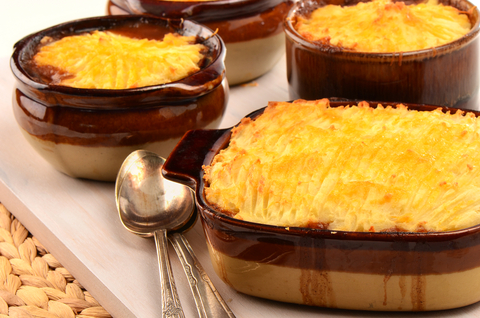 The difference between and Shepherd's pie and Cottage pie is the meat one uses. Shepherd's should only be named as such if it contains lamb, and Cottage usually applies to one made with beef. Learnt some thing hey I certainly have. Okey Dokey time now to get going. 800gr peeled sweet potatoes cut into cubes. 120 gr chopped white mushrooms. 120 gr grated cheddar cheese. 5-6 slices of round tomato. "It Time To Staaaart A Cooking"
Place cubed into a pot with cold water, bring to boil ,cook until soft. 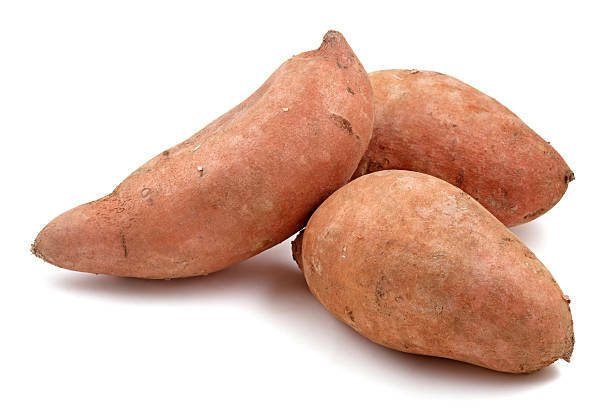 Add milk and butter to pot used for the sweet potatoes and heat gently until butter has melted. Add cooked sweet potatoes and mash the butter milk and potato's until you get a creamy mash, taste and season Set aside for later. Pour the Olive oil into a large deep pan. Add onions and carrots and fry gently for about 5 minutes. Add garlic and cook for another minute taking care not to burn. Add the mince beef a third of the beef stock, Worchester sauce, tomato paste to the onion carrot and garlic mixture. Continue cooking ,stirring until all the meat is brown. Cover with lid and cook for 15 minutes. Remove lid and cook uncovered for further 10minutes to reduce sauce slightly. Spoon the mince sauce into 20cm/8" by7cm/3" deep oven proof dish. 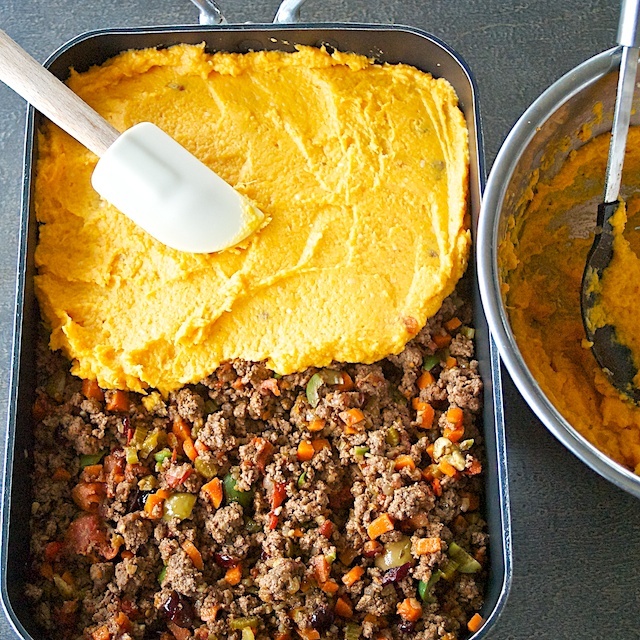 Cover the sauce evenly spread with the mashed sweet potatoes. Place randomly the slices of tomato on top of the potato's. Sprinkle the grated cheddar cheese on top. Bake in pre heat oven for 25-30minutes until top is crisp and brown. Great you have just completed a great pie sweet potato cottage pie . Goes great with a bowl of buttered Peas. Italian, Greek or French salad. Fresh baked French garlic rolls.